Quetzalcoatl (feathered serpent) is a Mesoamerican deity who was worshiped in the first century BC to the first century AD. 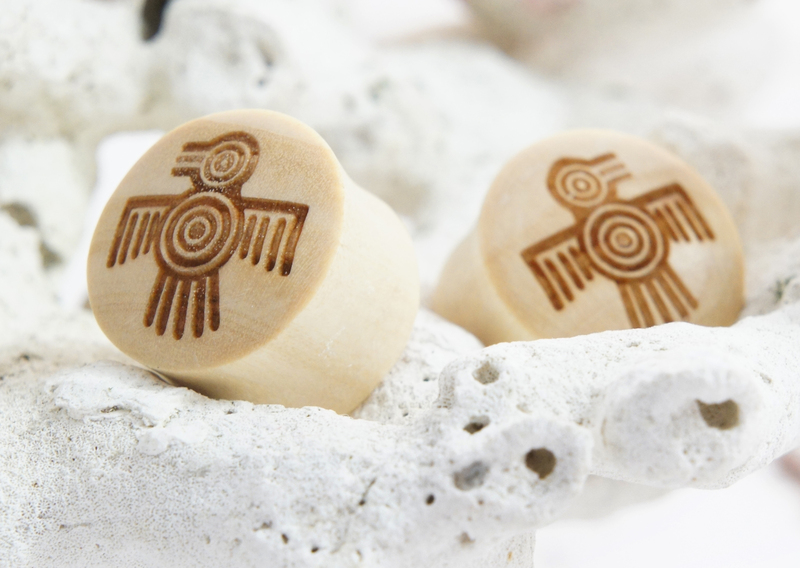 Our carving design for this plug, came from a simplified version of this deity. Between the differnet cultures in Mesoamerica, the mthology changes greatly. To the Aztecs, Quetzalcoatl was the transgressor between earth and the sky that contributed to the creation of Mankind. 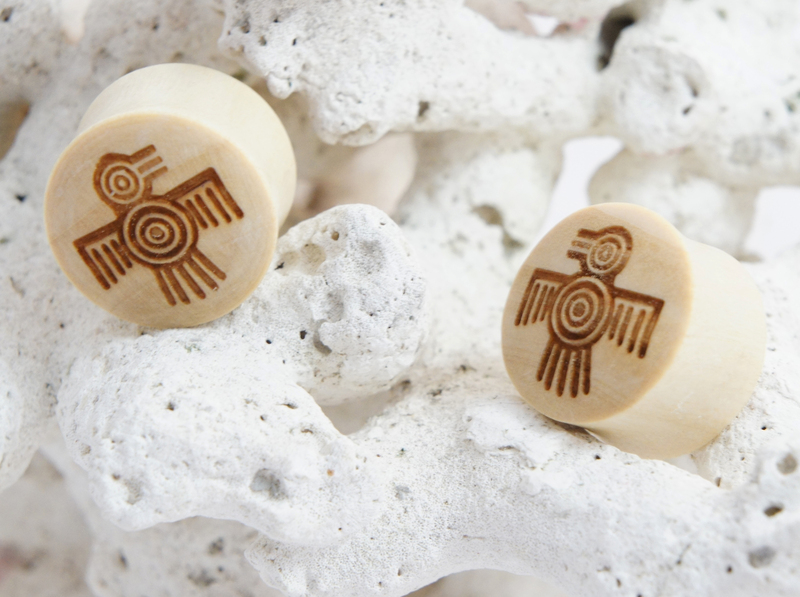 These crocodile wood double flared plugs feature a simplified carved version of an Aztec drawing of Quetzalcoatl. 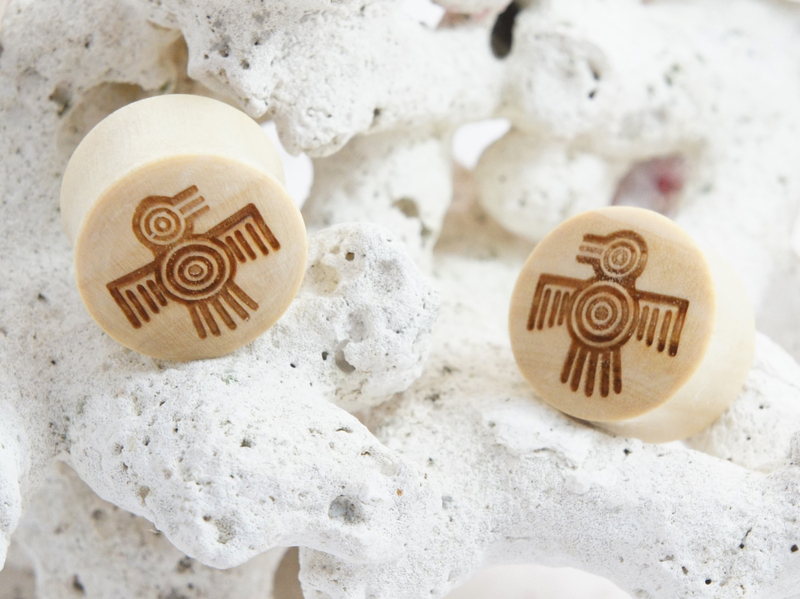 These light wood plugs are Sold as a pair, these traditional saddle gauges have the sand dollar design on one side so you can still wear them to show off the delicate stripes of the crocodile wood. If you don't see your gauge size listed please feel free to contact us or check back later since we're constantly restocking or adding new sizes and styles to our line.